Bengaluru: The Vice President of India, Shri M. Venkaiah Naidu has said that a world-class higher education system was the need of the hour. 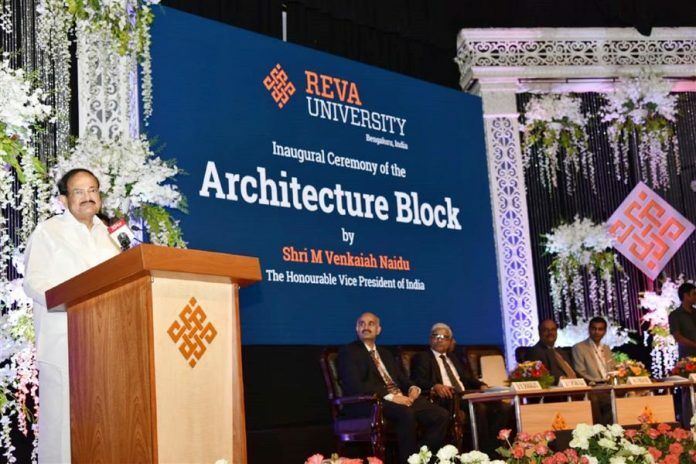 Addressing students and faculty members of REVA University after inaugurating the State-of-the-art Architecture Block in the campus at Bengaluru today, he said that India’s quest for development would remain unfulfilled if we fail to create opportunities for quality higher education till the last mile. Pointing out that concerns have been raised over the imbalance between excellence and inclusion, the Vice President called for revamping of higher education system to make more equitable and inclusive. Shri Naidu said that we have tremendous talent amongst us and we cannot afford to let this talent lie dormant due to lack of avenues for quality education, especially higher education and skill training. He called for putting vulnerable sections of our population, the women, the differently-abled and the economically weak at the center of our strategy to expand higher education. Observing that rapid industrialization and economic growth would create opportunities for around 250 million skilled workforces by 2030, Shri Naidu asserted that India would emerge as the global supplier of skilled manpower in the coming years. The Vice President said that despite the progress made from the time of Independence, higher education system in India still suffers from a number of lacunae ranging from inadequate enrolment to quality issues to lack of equity and insufficient infrastructure. Observing that research was the cornerstone of higher education systems world over, the Vice President called upon institutions of high learning to create an environment for students to be innovative and creative. Saying that advanced research was the way forward for India’s higher education, Shri Naidu called upon colleges and universities to equip their institutions with latest technologies and re-invent the teaching methodology. The Vice President wanted institutions of higher education to focus on nurturing students with employable skills. He also suggested them to actively promote linkages between academic institutions, the industry, and the government to prepare students to suit the demands of the industry and train them to perform new age jobs. The Chancellor of REVA University, Dr. P. Shyama Raju, the Vice Chancellor of REVA University, Dr. S.Y. Kulakarni, the Registrar of the University, Dr. M. Dhanamjaya, the Trustees of the University, Shri Bhasker Raju and Umesh Raju and other dignitaries were present at the event. ” I am delighted to be here at REVA today, a campus that is a nucleus of brimming activity, amidst some of the brightest minds of the country. Your campus is a true manifestation of the strong surge of energy and vigor of a young India. Let me congratulate Dr Shyama Raju for his dedicated service to the nation in the field of education. One of the most effective ways to cement a nation’s pathway towards growth and development is through a robust framework for quality professional education, an endeavour that is being taken to fruition by Dr Shyama Raju and his dedicated team. I am glad to hear that REVA educates a large number of students from rural background. I am sure that REVA and its team of dedicated faculty will offer nothing but the best to every single one of its students. I am delighted to inaugurate the Architecture block of REVA University today. I am told that this campus of REVA is home to 15000 talented students studying in diverse disciplines such as Engineering, Architecture, Management, Commerce, Humanities, Legal Studies and Performing Arts. I firmly believe that students from varying disciplines should study together and interact with one another as frequently as possible to develop wider perspectives and accommodate contrarian view points. This is, after all, the era of interdisciplinary studies. Aristotle once said, ‘It is the mark of an educated mind to be able to entertain a thought without accepting it’. In ancient India, the ‘Gurukula’ system of education thrived, where students resided in the ashrams or the homes of the Gurus. The very word ‘Gurukula’ is a combination of two words, ‘Guru’, the master and the ‘kula’, the home. Students were not discriminated against on the basis of caste or creed and every student was involved in the activities of the ashrama. The Gurukula was a place of acceptance, of harmony and of brotherhood and camaraderie, a safe haven for all those who pursued wisdom. Your ‘Kula’ or home has been built well, it is now upto the Gurus and the shishyas to ensure that they make the best use of the facilities available here. Let this abode of wisdom and scholarship become the modern day Gurukula where there is no place for prejudices and where the light of learning will dispel the darkness of all human vices. Today India needs a world class higher education system, a mission that is of paramount importance, especially in the light of the burgeoning youth population in the country. India has one of the youngest populations in the world and the window of demographic dividend opportunity is available for five decades from 2005-06 to 2055-56, longer than any other country in the world. India will have the second largest graduate talent pipeline globally by the end of the year 2020. India’s economy is also expected to grow at a fast pace. Rapid industrialization would require a workforce of around 250 million by 2030. India will certainly emerge as a global supplier of skilled manpower. We have tremendous talent amongst us. We cannot afford to let this talent lie dormant due to lack of avenues for quality education, especially higher education and skill training. According to World Bank estimates, India’s higher education system is the world’s third largest in terms of students, next to China and the United States. Very soon, India will be one of the largest education hubs and learning destinations in the world. India’s Higher Education sector has witnessed a tremendous growth in the number of Universities, University level Institutions and Colleges since Independence. But we have a long way to go. Our higher education system still suffers from a number of lacunae ranging from inadequate enrolment to quality issues to lack of equity and insufficient infrastructure. While it is true that access to quality higher education has improved in the last decade with more IITs, IIMs and Central and State-level universities being established, concerns have been raised about the imbalance between excellence and inclusion. Let me remind you that our quest for development will remain unfulfilled if we fail to create opportunities for quality higher education till the last mile. Vulnerable sections of our population, the women, the differently-abled and the economically weak should be at the centre of our strategy to expand higher education. Today, we are in the middle of Industry 4.0. There is widespread disruption due to technology and automation that are changing the nature of jobs and learning and we have to adapt fast to the changing scenario. We need to create campuses that are integrated with latest technologies, which empower students to innovate and create. India should be a technology leader and not a follower. New fields such as cyber security, robotics, digital technology, artificial intelligence, data-science, block chain and internet of things have the potential to transform the world. In this context, India must be innovative in approach and work out policies to boost research and optimally tap the demographic potential. Statistics reveal that there were only 216 researchers per million in 2015. India’s investment in research is 0.62 per cent of its GDP. These numbers are well below global standards. Research is the cornerstone of higher education systems world over. Advancing research should be the way forward for India’s higher education. There is also a need to re-invent the teaching methodology in our centers of higher education. The world is now experimenting with several effective teaching methodologies such as e-learning, simulation and role-playing, problem based learning and blended learning. India must also adopt best practices from all over the world to improve instruction. There is also a need to train our teachers and equip them with better skill-sets and latest tools to effectively educate students in this era of digital technologies. Institutions of higher education must also focus on nurturing employable skills. The new Annual Employability Survey 2019 report by Aspiring Minds reveals that 80% of Indian engineers are unsuited for any job in the knowledge economy and only 2.5% of them possess tech skills in Artificial Intelligence (AI) that industry requires. 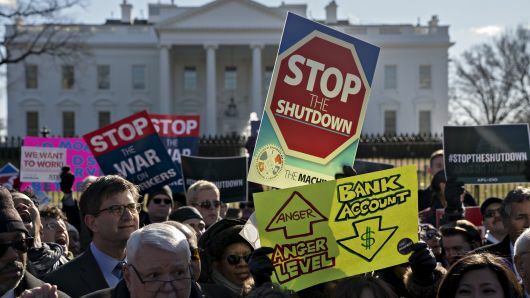 Ad-hoc changes and quick fix solutions will not remedy the problem of employability. We have to actively promote linkages between academic institutions, the industry and the government so that we succeed in preparing our graduates to suit the demands of the industry and perform new age jobs. Students must also be encouraged to undertake internships, live projects and corporate interactions which provide practical insights into how the industry operates and expose them to workplace realities. Current estimates say that less than 40% of our engineering graduates opt for internships. I am very happy to know that REVA University has its own Industry Interaction Centre. Quality education in India is still very expensive. Education should not be a business, but must be looked upon as a mission to build a better world. Institutions of higher education have the potential to become the most crucial change agents in the society. Education is a powerful tool to reduce or eliminate income and wealth disparities. I would also urge the Indian universities to continually engage and collaborate with world class academic institutions in different parts of the world. The world is a global village and we have to ensure that we mould global, cosmopolitan citizens who are at ease in any part of the world. I do not, for a second, believe that education is meant solely for employment. Education has a much higher purpose. Education teaches us values, stimulates our intellect, develops tolerance and encourages us to question the absurd and equips us to contribute to the growth of the human society. True education opens up your mind and trains you to think critically, practically and creatively. It fosters empathy, kindness and humility. I understand that the School of Architecture at REVA is participating in the Smart City Project. I am sure that your contribution in planning of cities, ensuring sustainability and energy conservation will bring about a paradigm shift in urban planning. I hope this University continues to provide quality education and remains committed to the pursuit of excellence. I wish you all the best in all your future endeavors!